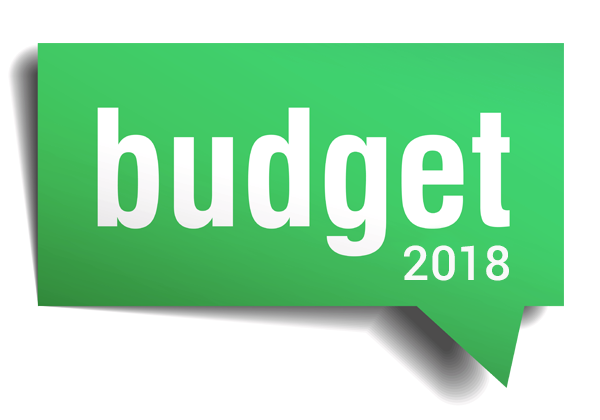 Finance Minister Malusi Gigaba delivered the budget speech today that has been described as responsible and balanced under the current circumstances and likely to put South Africa in a healthier fiscal position. Ratings agencies are also looking at it favorably however the budget isn’t without its surprises, namely the hike in VAT for the first time in 25 years. Value Added Tax will increase to a rate of 15%. This will take effect from April 1st 2018. VAT has been steady at 14% since 1993 and the hike brings concerns about its impact on poor households. To limit this, there is a current zero-rating on basic foodstuffs that will remain in place. This covers rice, brown bread, and maize meal. There will also be an above average increase in social grants for affected households. There has been no inflation adjustment for the top four wealthiest tax brackets. This means that if you earn more than R410,461 per year, you will be taking home less pay. The bottom three personal income tax brackets will be partially adjusted for inflation with a 3.1% increase. This also includes the primary, secondary and tertiary rebates. The rise in estate duty is being seen by some as a wealth tax. Estate duty has been a level 20% for all estates however with the latest change, estates above R30 million will be charged 25%. Both capital gains tax and dividends tax will remain unchanged. The capital gains tax rate for individuals remains at 18% while the dividends tax rate holds at 20%. After a 30c/litre hike last year, an increase of 52c/litre is on the cards. This consists of a 22c/litre increase in the general fuel levy and an increase of 30c/litre for the Road Accident Fund levy. Luxury goods will be receiving higher ad valorem tax rates. These items include cars, cosmetics, electronics and cell phones. A lot of these products will see the tax rate rise from 7% to 9% while on cars, the maximum rate will be boosted from 25% to 30%. With the increases for sin tax, you can expect to pay between 6% and 10% more for alcoholic products while smokers will have to fork out 8.5% more for tobacco products. From April 1st 2018, a health promotion levy which taxes sugary beverages will be implemented. This aims to control the high obesity rate in South Africa by reducing sugar consumption. Sugary beverages with more than 4 grams of sugar per 100ml will be taxed 2.1c per gram of sugar per 100ml. The Carbon Tax Bill will be implemented from January 1 2019. State old age grant increases from R1 600/month to R1 695. State old age grant for over 75s increases from R1 621 to R1 715. War veterans grant increases from R1 620 to R1 715. Disability grants increase from R 1 600 to R1 695. The foster care grant increases from R920 to R960. The child care dependency grant increases from R1 600 tot R1 695. The child support grant increases from R380 to R405. Funding has been put in place for fee-free higher education and training for poor students. New first-year students at universities and TVET colleges will be funded for the full cost of their study for the 2018 academic year if their family income is below R350 000 per annum. Government has allocated R6 billion to address the drought situation in the Western Cape, Eastern Cape and Northern Cape. This money will be used to augment water infrastructure with a special focus on Cape Town due to the concern of job losses in the agricultural sector. The prudential limits on offshore investments for funds under management by institutional investors is set to increase by five percentage points for all categories‚ including the allowance for investments in Africa. There will be a rise on the limits for collective investment schemes‚ investment managers and long-term insurers of 40% from 35%; and for non-linked long-term insurers and retirement funds to 30% from 25%.